In the mountainous province of Tanay, Rizal, after traversing the stretch of a zigzag road, there’s an elementary school that caters 1,630 students including a special education or SPED class – the Ilaya Elementary School. It has these small colorful flags or banderitas hanging above one’s head with each of its first end is tied to the center of the steel bar of the covered court’s ceiling while the other ends are tied among the gate’s pillars, to the bars of the adjacent roof, and maybe to the little hook on the wall. The students, who are members of school-band-wearing-uniform with the colors of red, black, white, and green, play pop songs with their drums, lyre and xylophones. Officers of their Supreme Pupil Government lined up with them, too. This is how they welcome guests to their school – like how they did when Rotary Club of Ortigas Center (RCOC) and ABS-CBN Lingkod Kapamilya Foundation, Inc. (ALKFI) visited them. 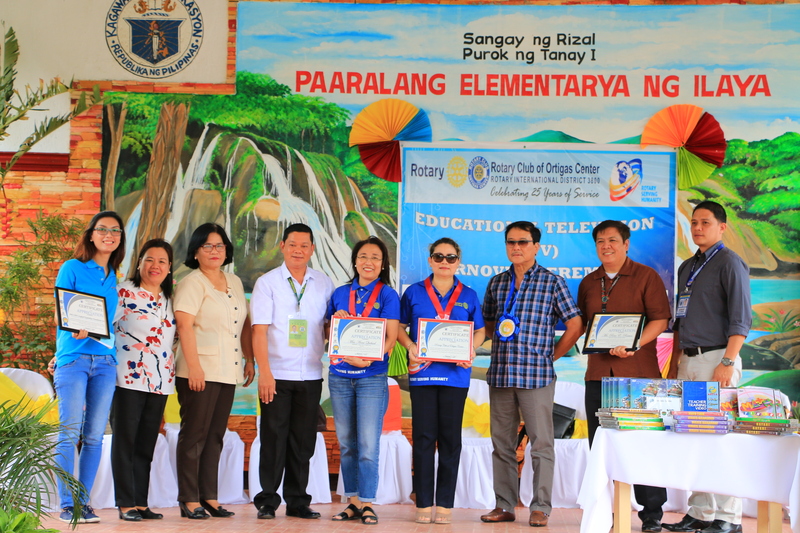 It was a visit to turnover an educational television (ETV) package from RCOC who partnered with ALKFI’s Programa Genio, the educational arm of Operation Sagip. The students had no idea of what was going to happen. One was asking her seatmate and got an answer of “I don’t know”. When the program started, the students learned that an ETV package will be given to their school. It has educational materials that talk about their subjects -- Science (Sineskwela), Mathematics (MathTinik), English (Epol Apple), Philippine History (Bayani), and Values (Hiraya Manawari) in DVD formats. It also has an episode guide, and a teacher training video. RCOC provided the DVD player and the 43 inches television. 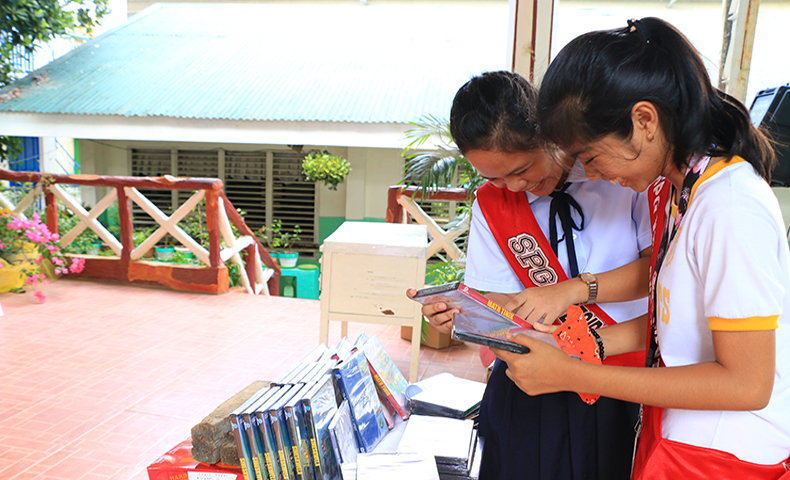 Ilaya Elementary School’s SPG President Janzel Kate Galinato and her SPG Vice President Heart Janelle Tongohan joyfully look at the educational DVD materials given to their school. 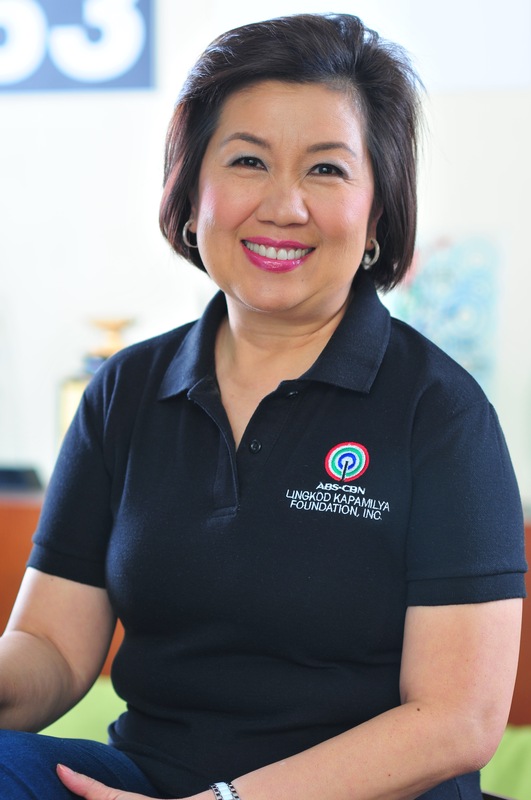 “This is not the first; this is only the beginning of being associated with ABS-CBN Lingkod Kapamilya Foundation,” she added. In photo: (L-R) Rino Ramos, ALKFI Senior Donor Relations Specialist; Armi Quibael, Rotary Club of Ortigas Center President; August Jamora, Schools Division Superintendent Representative; Ederlinda Isles, Ilaya ES Principal; Janzel Kate Galinato, Ilaya ES SPG President; Katrina Constantino, Programa Genio Admin Assistant during the turn-over. Ilaya Elementary School Faculty with ALKFI representatives and RCOC Officers. 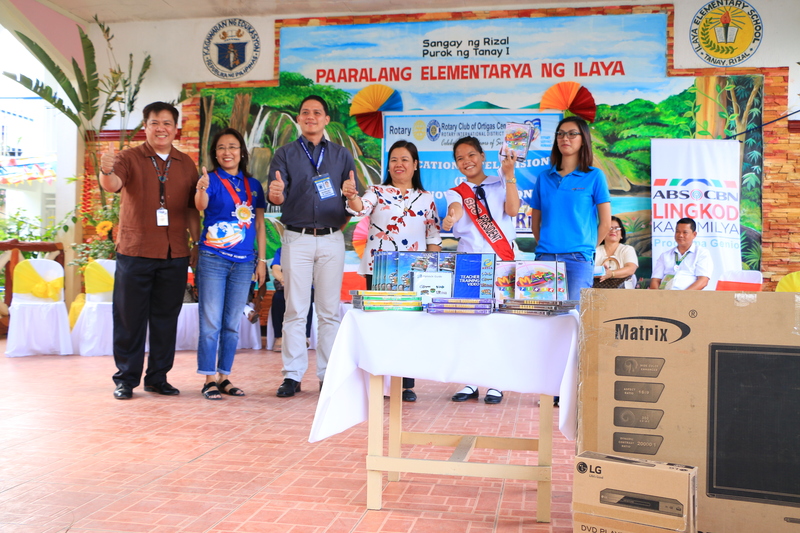 Now that their school has an ETV package, Janzel, the SPG President of Ilaya Elementary School believes that learning will be different and better. “Excited ako kasi imbes na blackboard ‘yung gagamitin namin, magiging TV na. 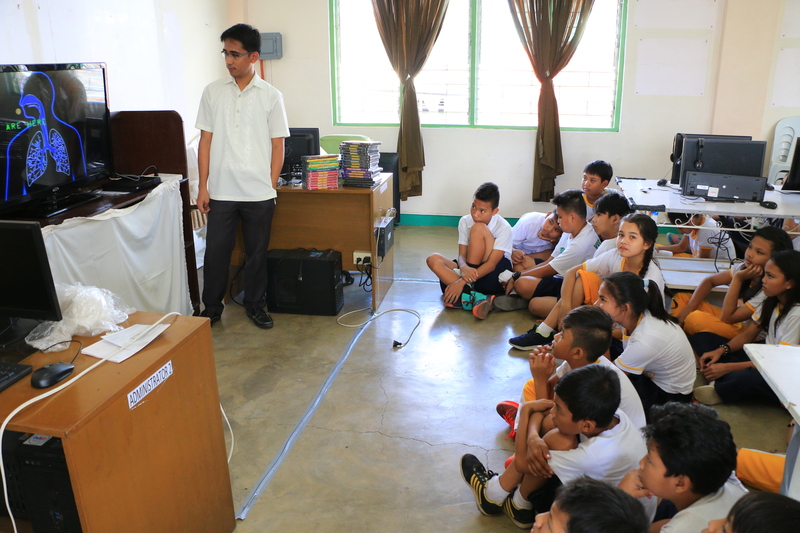 Mas malaki po ‘yung maitutulong kasi ngayon, mas magiging high-tech na ‘yung pag-aaral at mas mapapadali ‘yung pagtuturo ng mga teacher namin.” (I feel so excited because with this ETV package, we can now use a television aside from the blackboard. It’s high-tech. It will also help our teachers teach our lessons. “With this ETV package, we are expecting better performance of our students in National Achievement Test,” their Principal Ederlinda Isles added. Through your help, we continue to give the gift of education to communities in need. Interested to partner with us and donate an ETV package to your alma mater or school of choice? Visit www.abs-cbnfoundation.com.